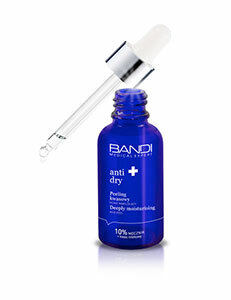 Hypoallergenic product, designedfor those whowant toenhance thehealth ofeyelashesand eyebrows, reduce brittleness and hair-lossand accelerate theirgrowth. The stimulatorcanbe used by peoplewithatopic very sensitive skin. It issuitable forcontact lens wearers. Optically and dermatologically tested. Fragrance free. The serumenhancesthe growth andstructure of theeyelashes,while it alsoprevents them from hair damage orloss. It contains selectedactive ingredients-B vitamins(PP, B5, biotin), extracts of ginseng andburdock root, trichogenicpeptidecomplex. This ingredient coctail regulatesmetabolismandnutritionof building cells in lashes, strengthens them, ensures theirrecoveryand reducestheir vulnerability toharmfulexternal factors. The serumhas a gel consistency, so that the applicationis simpleand convenient. Vitamin conditioner for eyelashesand eyebrowscontains many valuablesubstances withmoisturizing andnourishing properties. These include:a complex of vitaminsA, Eand B7,which prevents thelossof eyelashes and argan oil, whichprotects themfrom the adverse effectsof the external environmentandstrengthens the hair structure. The use ofnutrientsmakeseyelashesand eyebrowshealthier,stronger,denserand more elastic. The firsteffectswill be visible after just6weeks of usingthe eyelash and eyebrowgrowthstimulator. However, we recommendthe regular use of eyelash serumandeyelashand eyebrowconditionerforfour monthsin order toget the full effect. To sustainthe results it is enough to use it 3-4 times a week. NOTE: The product should beused with caution, so that it does not enter youreye. In case of contactwith the mucous membraneof the eye,rinse off with plentyof water.Thestimulatorshould not be used if there exists a history of previous infectionswithin theareaof the eye,strong inflammationof the skinthat requiresmedical treatment andknown hypersensitivity to any of the product components. Eyelashserum: csulfopeptidesofsoybeansrich inglycine,amino acids, tyrosine, arginine,ornithine,citrulline, amino saccharide: glucosamine,vitaminPP, vitamin B5, biotin, extracts ofginseng(Panaxginseng), extractofburdock root(Arctium Majus), a unique combination ofsignal peptide and an extract ofred clover. 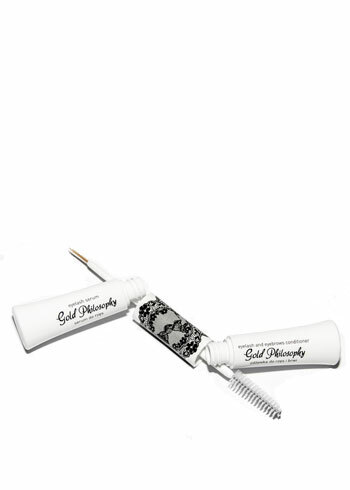 Eyelashand eyebrow conditioner: D-panthenol, biotin,silk proteins, Fucogel, vitamin A, vitamin E, arganoil.